Remove the intake camshaft position sensor bolt (1). 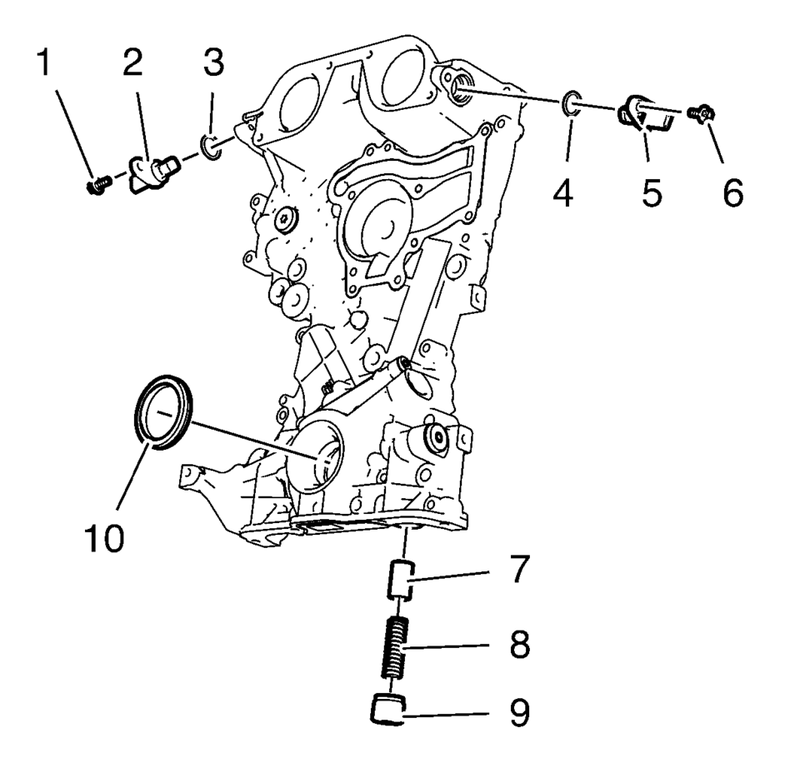 Remove the intake camshaft position sensor (2) and the seal ring (3). Remove the exhaust camshaft position sensor bolt (6). 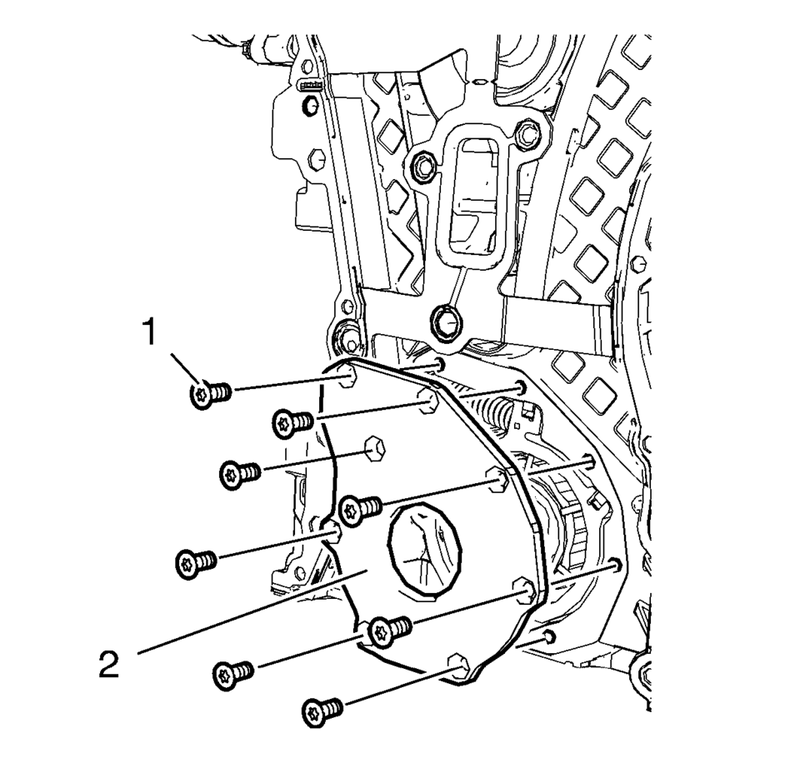 Remove the exhaust camshaft position sensor (5) and the seal ring (4). 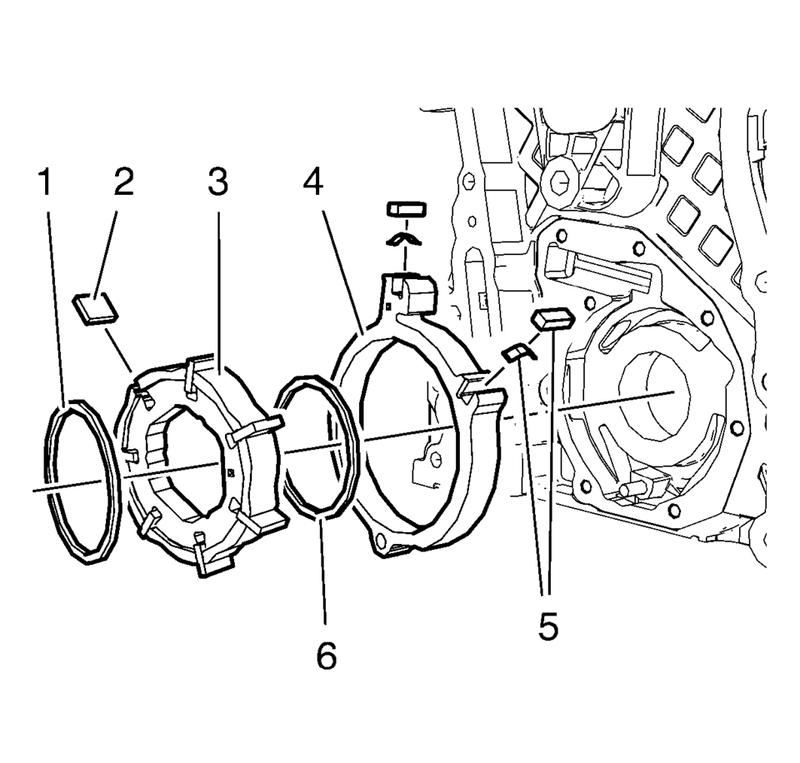 Remove the crankshaft front oil seal (10). Remove the 8 oil pump cover bolts (1). Remove the oil pump cover (2). Before removing the spring, cover the spring with a towel to prevent the spring from flying and possibly causing damage or personal injury. 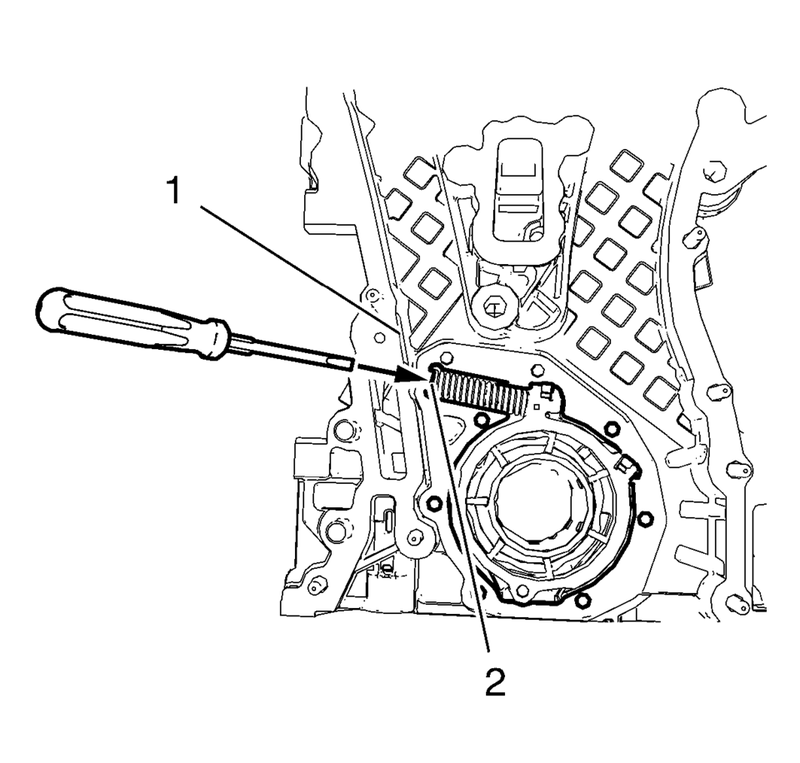 Position a screw driver between the oil pump slide spring windings (2). Protect the engine front cover edge (1) with a suitable piece of plastic. Compress the oil pump slide spring with a screw driver and remove the oil pump slide spring along with the oil pump slide spring pin. Mind the installation position of the oil pump components. Outer oil pump vane ring (1). Oil pump vane rotor (3) and the 7 oil pump vanes (2). Inner oil pump vane ring (6). Oil pump slide (4) and the 2 oil pump slide seals with the 2 oil pump slide seal springs (5).